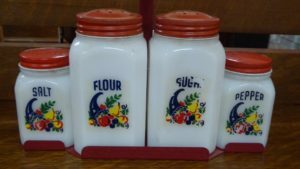 Serving Cookies, Coffee and Lemonade on the weekends! Curious about a Booth Rental? 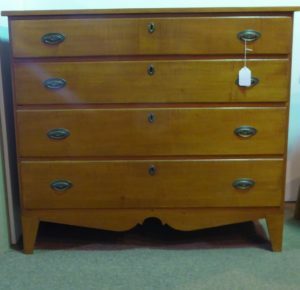 Call 540-465-3711 and ask for Shelby Collins. 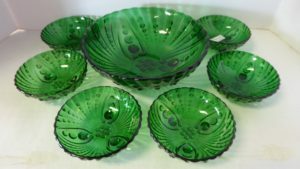 Please Scroll Down for More Pictures, Prices and Descriptions. Booth 38, Eight Drawer Stand – $245.00. 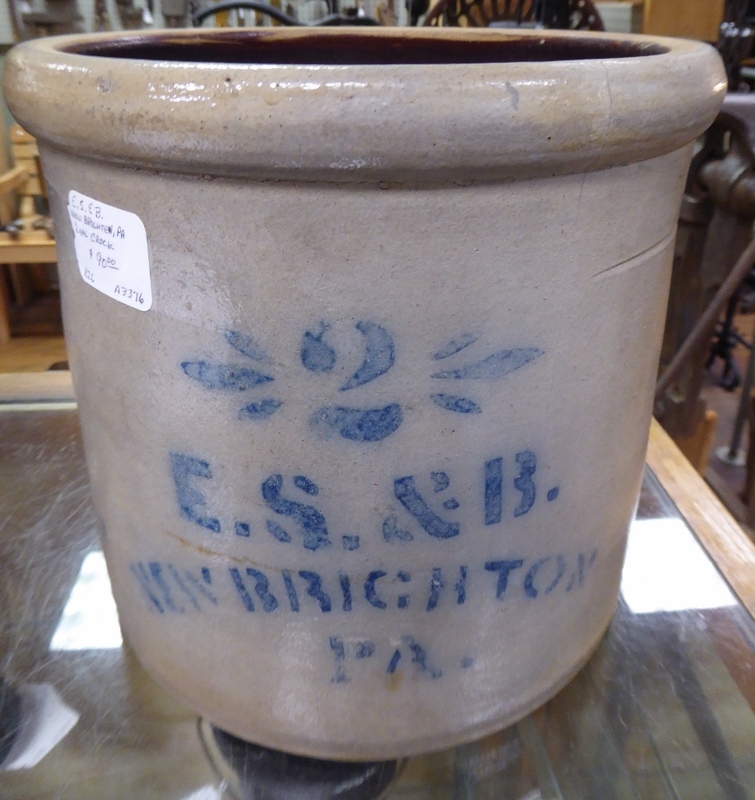 New Brighton, Pennsylvania, Two Gallon Crock from Booth 26 – $90.00. 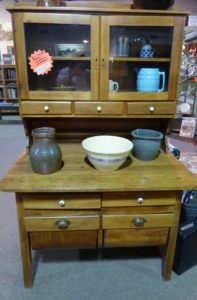 Early Baker’s Cabinet from Booth 1044 – $625.00. 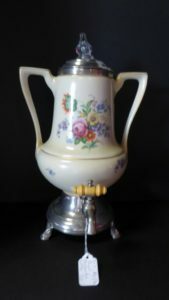 Collection of Madame Alexander Dolls – $25.00 each. 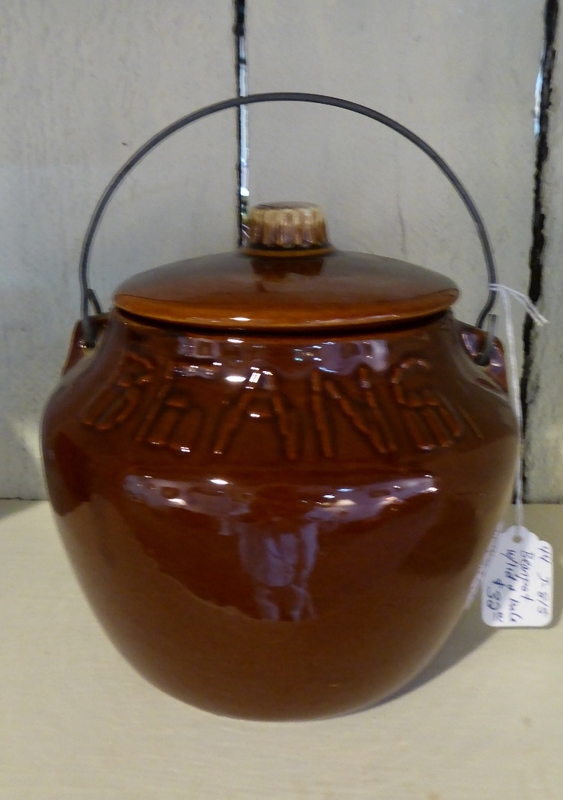 Booth 458. 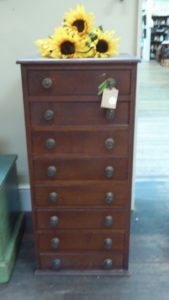 Tiger Maple Chest of Drawers – Nice! 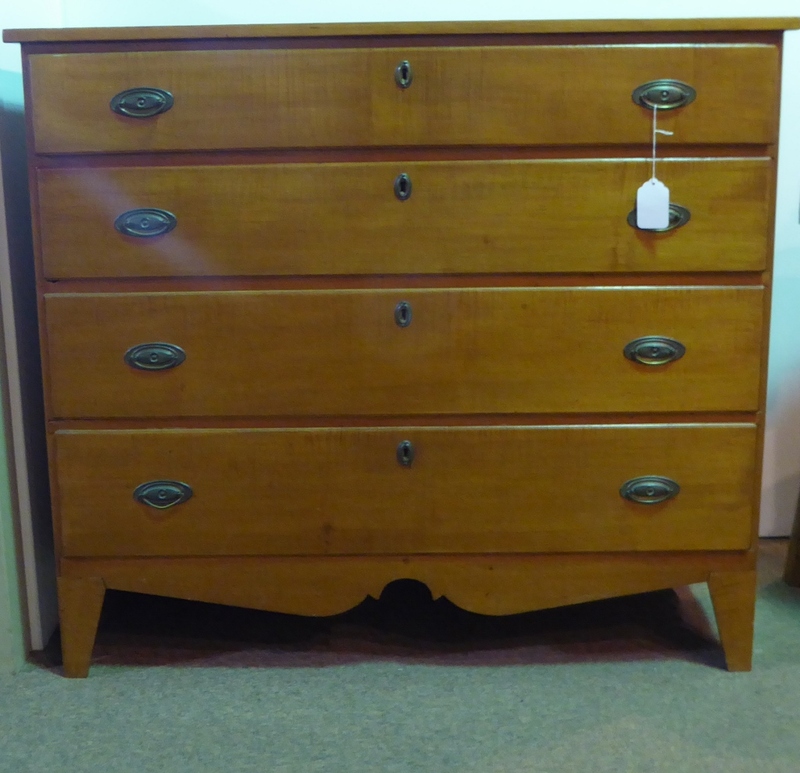 Booth 218, $650.00. 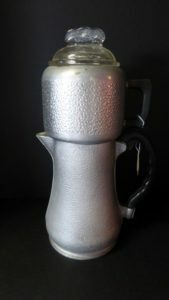 Old Blender – Very Heavy Duty, $20.00, Booth 317. 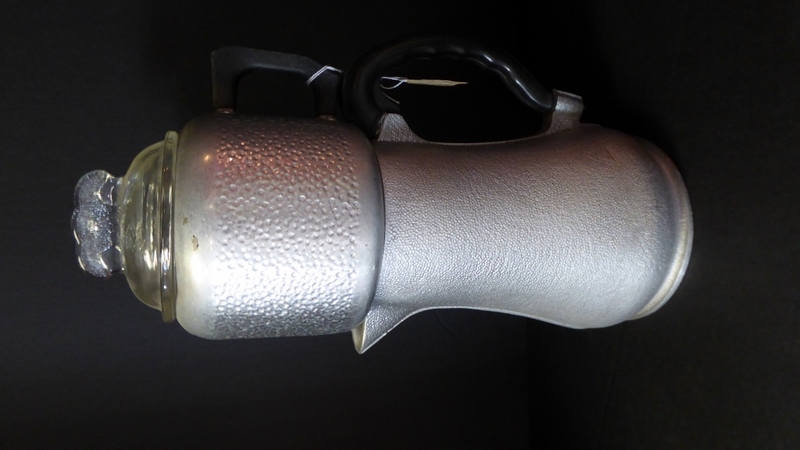 Guardian Coffee Pot – $40.00 – Booth 316. 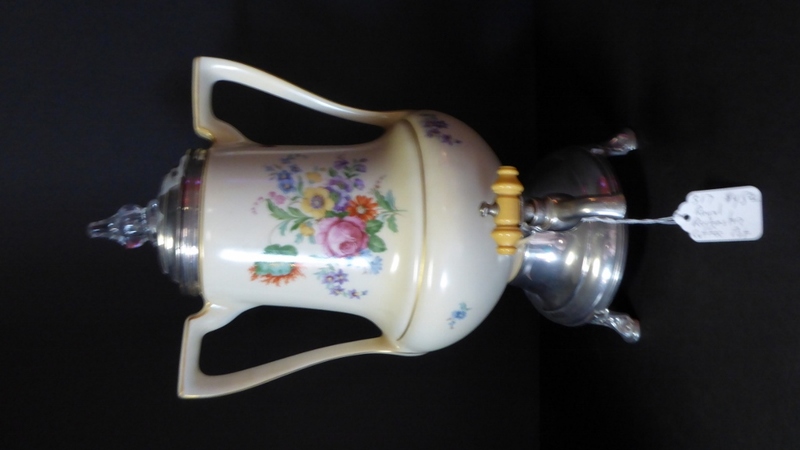 Royal Rochester Coffee Pot – $45.00, Booth 317. 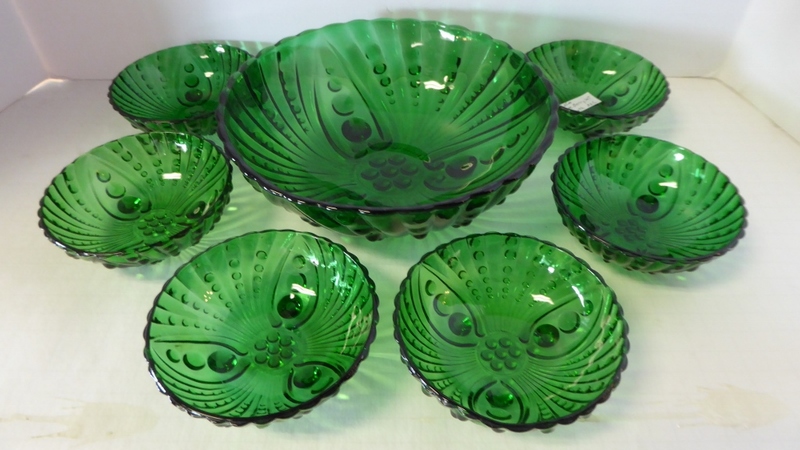 Green Seven Piece Footed Berry Set – From 32c, $25.00. Bean Pot w Lid and Bail – Booth 44, $32.00. Salt Pepper – Sugar and Flour Shakers – Booth 2 – $59.00. 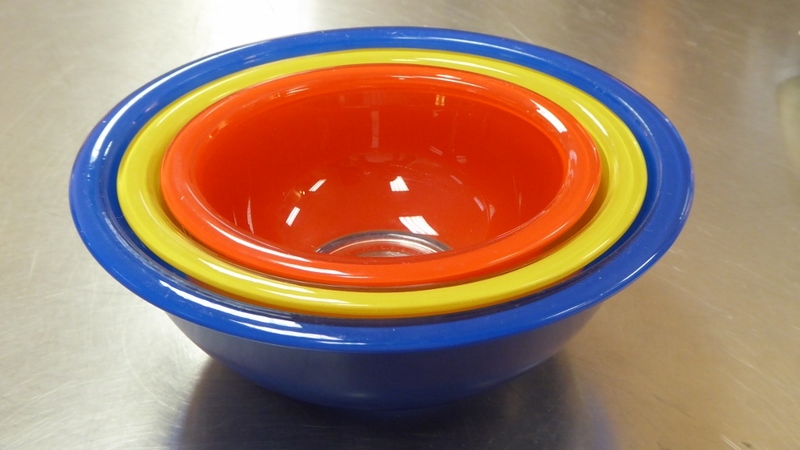 Wonderful Set of Pyrex Mixing Bowls – Booth 150, $55.00. ‹ This Week: Trio of Neons and a 18th Century Mule Chest!